Apple literally forged the tablet market after the release of the iPad, which enjoyed tremendous success upon release and blew every other competitor out of the water. However, with the presence of so many bigger companies within the market, it was obvious that new competitors will arise with different models. 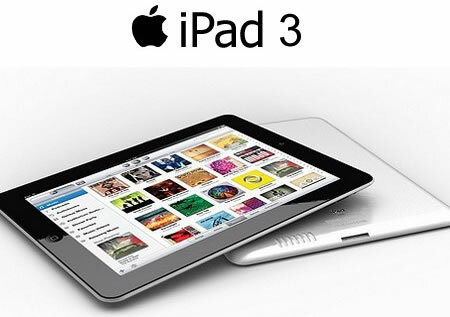 The third and latest version of the iPad, the iPad 3 was released recently, and amidst much fanfare, enjoyed tremendous success. The visual aesthetic design of the device has not been altered as much as many would have hoped, but the insides of the device have been completely revamped. In the following few paragraphs, we will compare the iPad 3 to one of this year’s best tablets in the market today, the Asus Transformer Prime. When it was released, many people had high hopes from the iPad 3, and boy, did it deliver. The screen is a LED backlit IPS TFT display, which Apple refers to as its Retina Display. It includes a resolution of 1536×2048 pixels with a pixel density of 264 ppi. For a 10 inch tablet, you will be hard pressed to find a better screen than the one on the iPad 3.The device is available in three different variants, namely the 16 GB version, the 32 GB version and the 64 GB one. The camera is a 5 MP rear camera while a Face Time VGA camera is located in the front to provide quality video calling. The device was touted to run on a new processor from Apple, possibly a quad core one, but Apple chose to develop its A5 processing chip, making it dual core, hence the name A5x. The GPU however is a Power VR SGX543MP4, which provides quad core graphical processing. Games and multimedia on this device could not be better. Asus has long been one of the most successful computer brands of its era, but chose to try its hand at the tablet market too. Its latest Asus Transformer Prime was very well received amongst fans, and the beautiful design and the docking station make it a very positive option to use. This device runs on a quad core nVidia Tegra 3 processor, and includes 1 GB of RAM. It can be purchased with 32 GB or 16 GB depending upon the user, while there is also a micro SD card slot for increasing the built in space. Running a beautiful Android version of Ice Cream Sandwich, this is by far one of the best Android tablets that you can choose to get. Forging – a manufacturing process involving the shaping of metal using localized compressive forces. Why would you say ‘Apple literally..’ and then not say something literal? it meant that apple changed the market of tablets by launching iPad!